Good afternoon everyone! I hope you are all having a wonderful day! Today I am dropping in to share my birthday manicure. My birthday this year was a little boring, I binged on Netflix with my kitties and went to bed early, but my nails were certainly hot! This year I decided to go with my love for blue and have a fun two toned look. 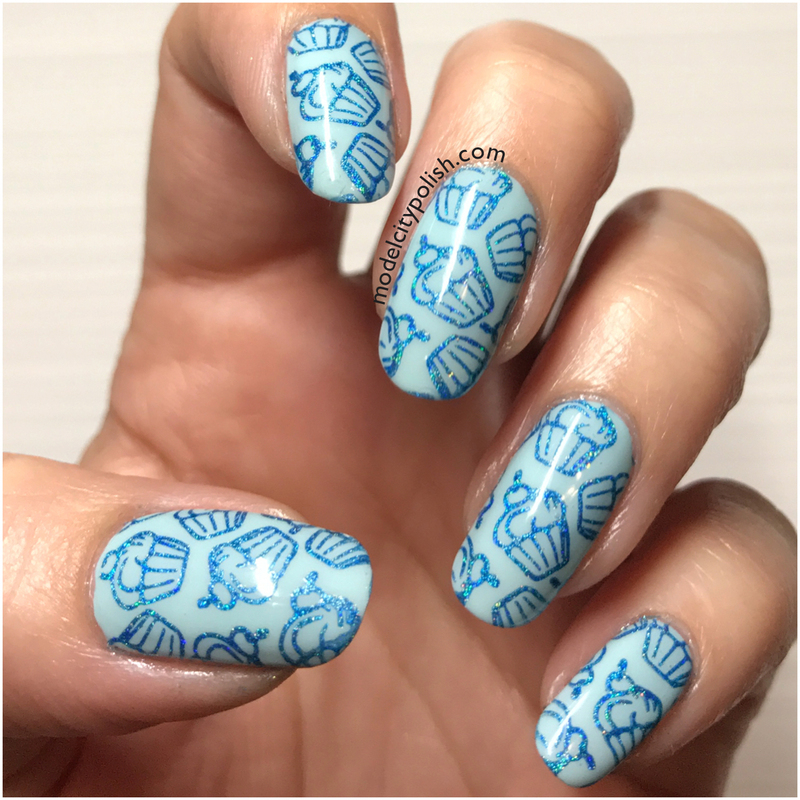 I started off with three thin coats of Lillan by Zoya and then used Petla plate with a cute cupcake image and Dopamine by SuperChic Lacquer. Everything was sealed with two coats of Marvel Liquid Macro Top Coat. So what do you guys think of my birthday mani? I loved them!!!! So stinking cute!!!! Thank you so much for stopping by today and I will see you all again tomorrow! This is too cute! I love the blue on blue. Such a great manicure. 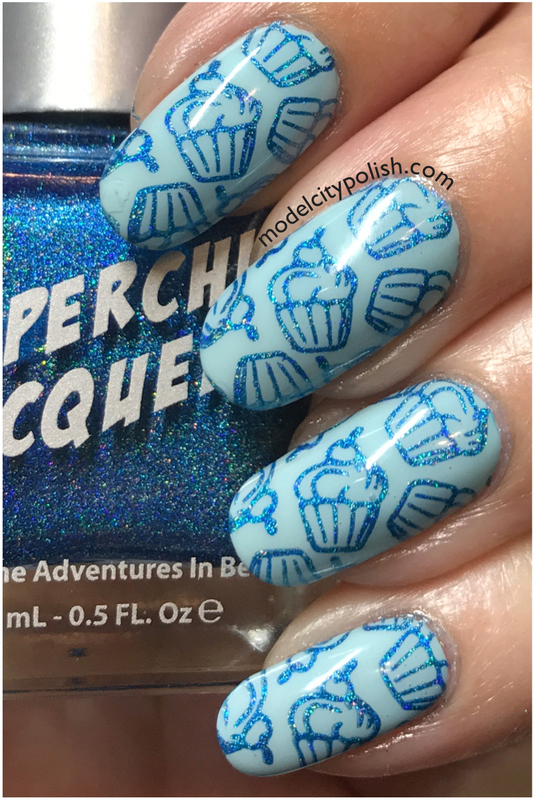 I love those cupcakes and the polish you used for them. Can you come over and do my nails?? 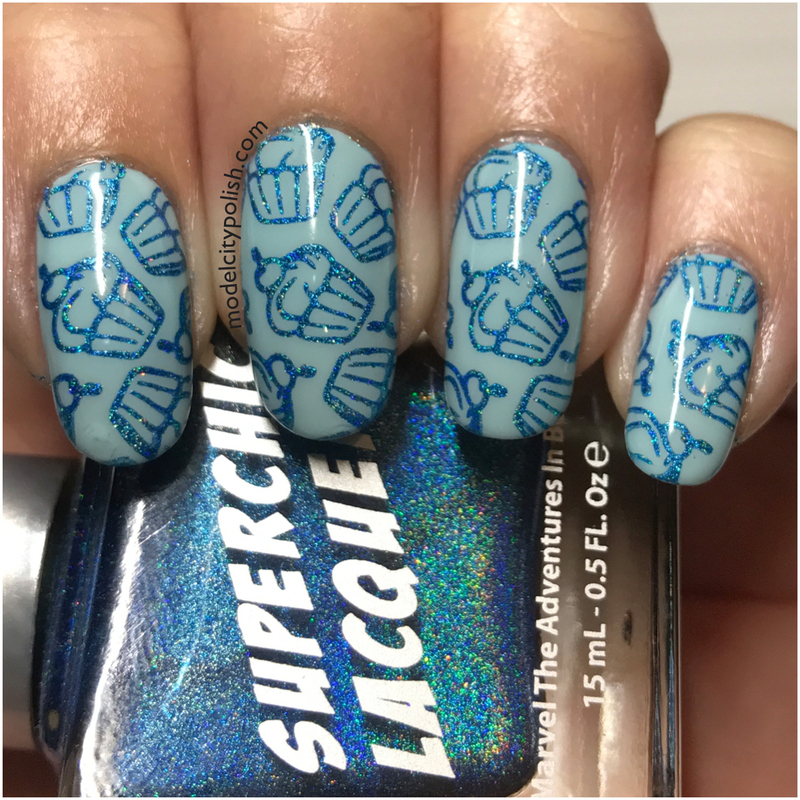 Holy holo cupcakes! These are adorable! Awww those are cute! and I really want a cupcake. such a cute manicure, happy birthday!!! 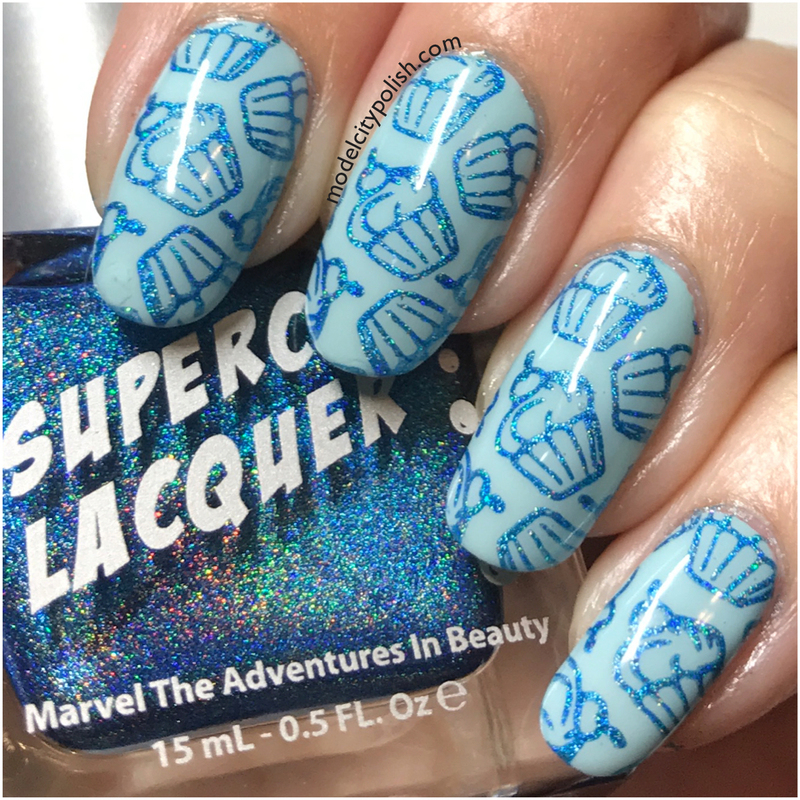 That holo stamps super well! Happy birthday! This is a lovely mani – the holo stamps so well. Such cute cupcakes! You’ve stamped these so perfectly!